If you live in Superior, WI and you want to ensure you maintain your autonomy if you become ill or hurt, you should reach out to an elder law and estate planning attorney at The Law Office of Yvonne Michaud Novak. You should also get help from our firm if you want to protect your assets, plan for financial security during retirement, or control what your legacy will be after you pass on. Our firm is a full service elder law and estate planning firm serving Superior, WI, so we help you to make use of powerful legal tools to be prepared for anything the future brings your way. Whether you want retirement security if you live to old age or need to prepare for sickness or death, you should work with an attorney so you have a comprehensive plan in place. The Law Office of Yvonne Michaud Novak makes the process of planning for your future easy, so give us a call now to get started. Superior, WI is a city located within Douglas County in Wisconsin. Superior is not just a city within its county, but is actually the county seat. It was home to more than 27,200 people as of the most recent census, and it is conveniently located close to both the village and the town of Superior. Superior shares a harbor with Duluth, MN and the two locales together form a joint location called Twin Ports. Together, Twin Ports control a harbor on part of the Great Lakes which is considered to be one of the area’s most important ports. Seniors often want to remain independent for as long as possible, even as they age. The Aging and Disability Resource Center for Superior, WI can help. This Center provides information about programs for seniors and can be reached via phone at (715) 395-1234. Unfortunately, there may come a time when you are no longer able to remain fully independent. You may need nursing home care or home healthcare aides to come to your home and help with activities of daily living. If you need only routine help, rather than skilled nursing care, Medicare and private insurance generally don’t pay anything towards your care. 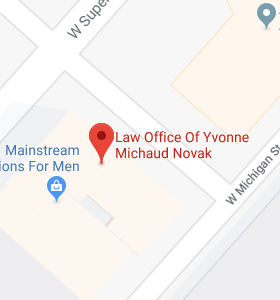 The Law Office of Yvonne Michaud Novak can help you to make sure you don’t have to pay for a nursing home or long term care at home out of your own pocket by assisting you in making a plan to get your benefits covered by means-tested Medicaid without impoverishing yourself first. Medicaid does pay for nursing home care and long term care, but without a Medicaid plan, you may have too many resources to get benefits. The Law Office of Yvonne Michaud Novak helps with the creation of an estate plan that often makes it possible for assets to transfer outside the probate process so loved ones don’t need to go through the stress of probate. We also help make an incapacity plan so there’s no need to go to probate court to have a guardian or conservator named in case of incapacity. There are, however, still times when someone in your life passes away without a probate avoidance plan or when you need a guardian named to act on behalf of a loved one. If you are going to probate court due to the death or incapacity of a Superior, WI resident, it will be the Douglas County court located at 1313 Belknap Street in Superior, WI 54880. You can reach this court at 715-395-1341. The website of the Douglas County probate court also offers some helpful information for Superior, WI residents including details on what probate is, whether assets always must go through probate, and how to file a claim against an estate. Superior, WI elder law and estate planning attorneys at The Law Office of Yvonne Michaud Novak will work closely with you to address the issues that could affect your future security. We help you to put the plans in place that you need to prepare for retirement, incapacity, or passing away and ensuring your loved ones are provided for. We can also assist you with other issues as well, such as making a nursing home plan or an asset protection plan. The key is to talk with our compassionate and knowledgeable legal team to find out the ways in which we can help you with your specific needs. If you live in Superior, WI, you should give us a call today to learn what we can do to help you secure your future.